This Session Whiskey Sour Sangria is a refreshing beer cocktail, made in a pitcher, and best consumed with friends. 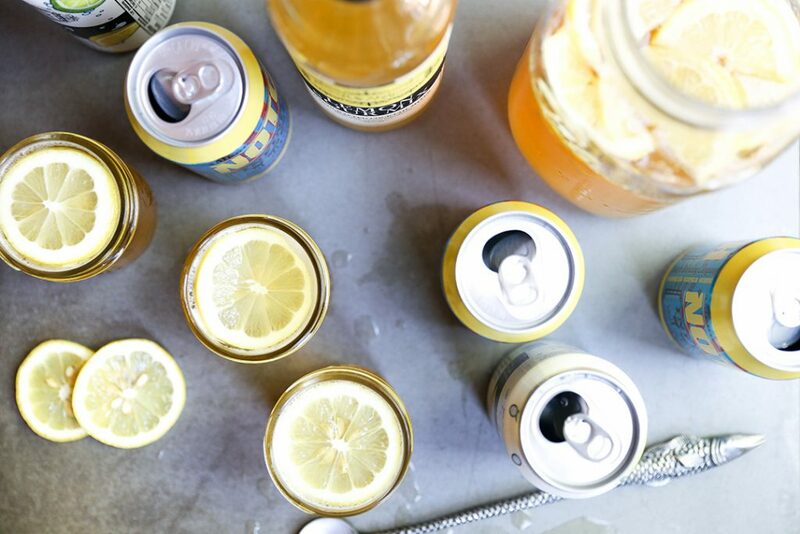 Grab yourself a session wheat beer (we prefer Notch Brewery’s), whiskey, P&M Lemon Sour, P&M Sparkling Tonic, and orange bitters, and you have yourself the perfect summer beertail! Thanks to our North Shore friend Liz from @floatingkitchen for the recipe and photography! This may be a little known fact, but Powell & Mahoney is based in Salem, Massachusetts! We make our craft mixers a few hours up I-89 in Williston, Vermont, but the majority of our team resides here on Boston’s North Shore. Meet the session sangria. We took Notch’s Infinite Jest, an American Pale Wheat Beer, added some whiskey, our Lemon Sour Mix and our new Sparkling Tonic. Top each beertail off with some orange bitters, and the results speak for themselves. While this recipe could theoretically be made with any wheat beer, we think it’s worth a trip to New England to get your hands on Notch’s Infinite Jest. This Session Whiskey Sour Sangria is a refreshing beer cocktail, made in a pitcher, and best consumed with friends. 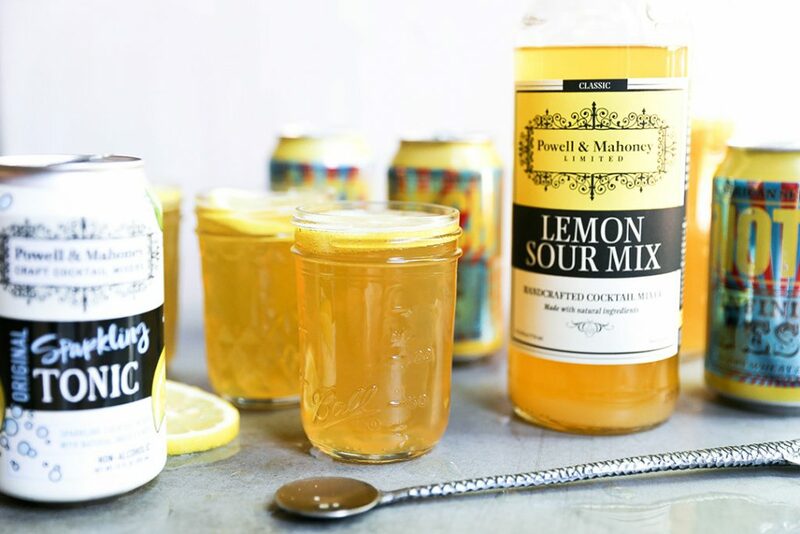 Grab yourself a session wheat beer (we prefer Notch Brewery's), whiskey, P&M Lemon Sour Mix, P&M Sparkling Tonic, and orange bitters, and you have yourself the perfect summer beertail! 1. 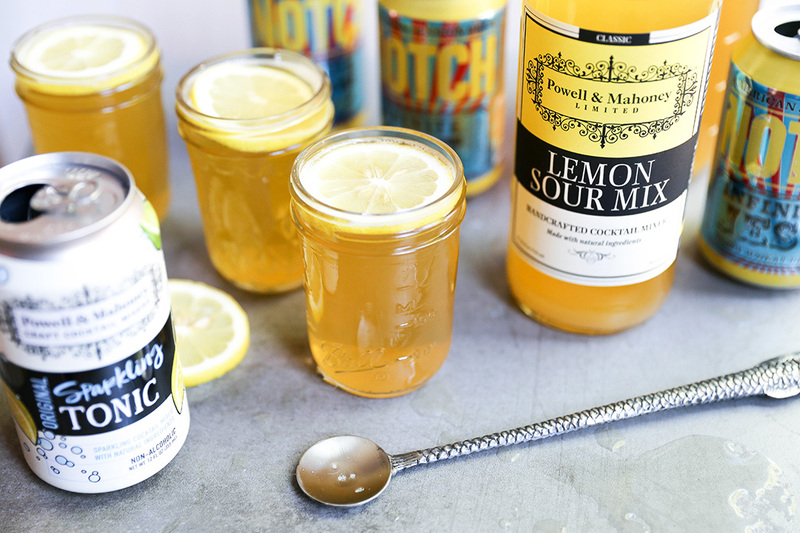 Add the Notch Infinite Jest, P&M Lemon Sour Mix, whiskey and the slices from one of the lemons to a large pitcher. Stir gently to combine. Cover the pitcher tightly and refrigerate it until well chilled. 2. 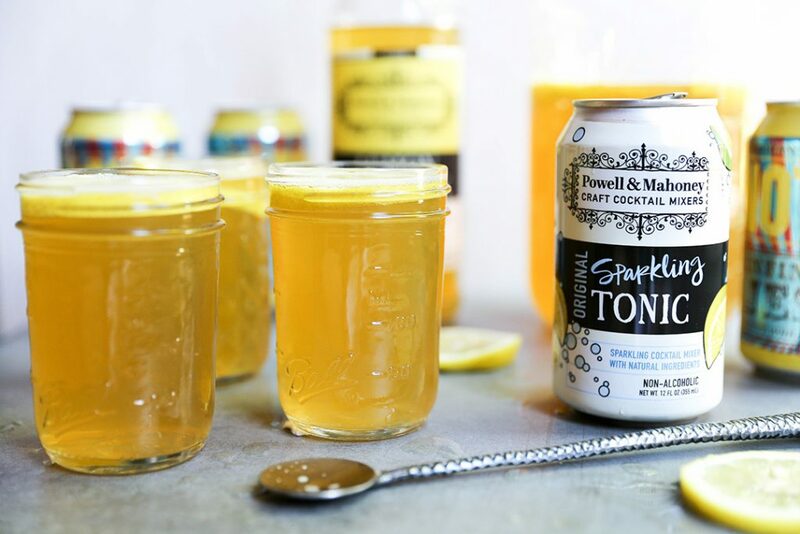 Add the P&M Sparkling Tonic to the pitcher and stir gently. Then pour the sangria into individual glasses. 3. 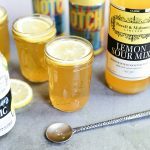 Add a dash of orange bitters to each glass. Garnish with the reserved lemon slices. Serve immediately.